Microsoft has been quite aggressively branding its Xbox 360 as an all-new, all-in-1 home entertainment system, connecting it with its newly-released Windows 8 and Windows Phone 8. Along with the entire Microsoft family product sync would be the release of Xbox SmartGlass, serving as a companion app for the console. The app has been on the Windows and Android platform for quite a while and today it has finally been approved onto the iOS platform. 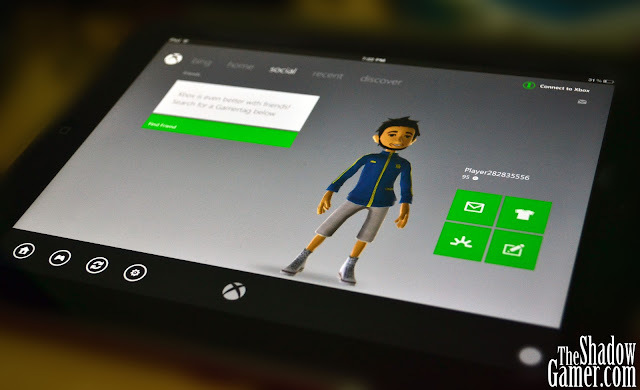 Meaning, Xbox SmartGlass is now available on the iPhone and even also a special version for the iPad. What it serves to do remains pretty interesting. It basically serves as a second screen for most features in the console. Xbox Music was announced a week or so ago, and SmartGlass will be one of the ways to more conveniently control playbacks or search for songs, instead of navigating via the controller. Likewise, it works for movies, even providing additional information like synopsis when requested. However, SmartGlass features for games may for now be quite limited, though I'm expecting developers to take advantage of this features in future games. Want a look into its experience? Here's a video explaining it all.